Libby is a lively and loveable Hound pup with a short black and white coat and a face that can only be described as cheek-pinching cute. She’s medium-sized now, but at 10 months she will keep growing and need plenty of room to stretch her legs. Libby possesses great excitement and love for people. Her joy is contagious and people feel happier for being around her. 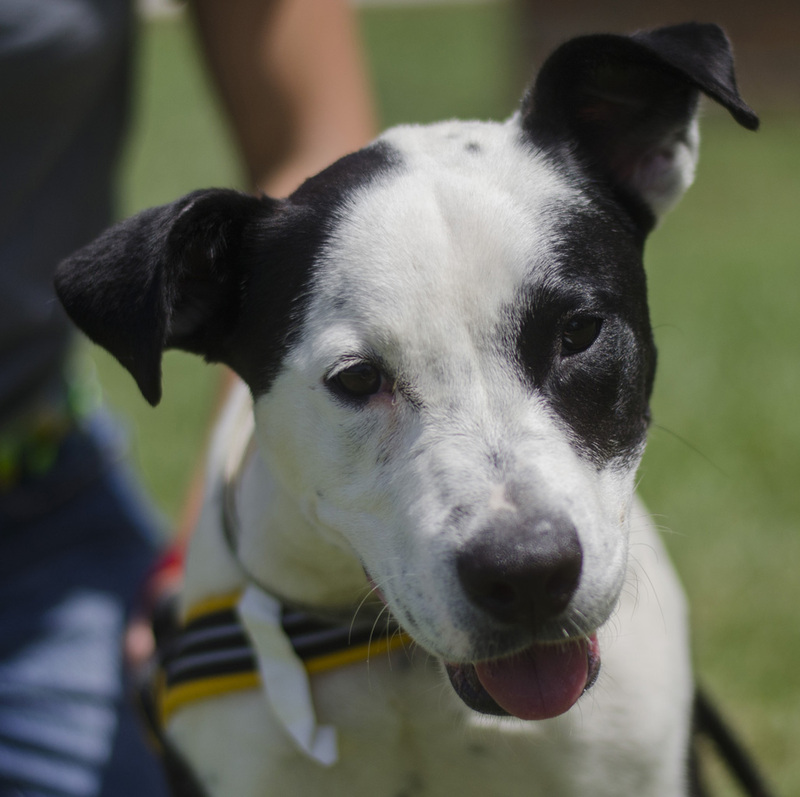 With her playful heart and enduring stamina, Libby would do best in a home full of kids or healthy high-activity, and a fenced backyard where she can play with wreckless abandon. Visit Libby and let her leap into your life, lift your spirit, and brighten your every day. There is no mistaking Big Mama. She’s the one who looks like she’s never missed a meal and ate everyone elses, too. 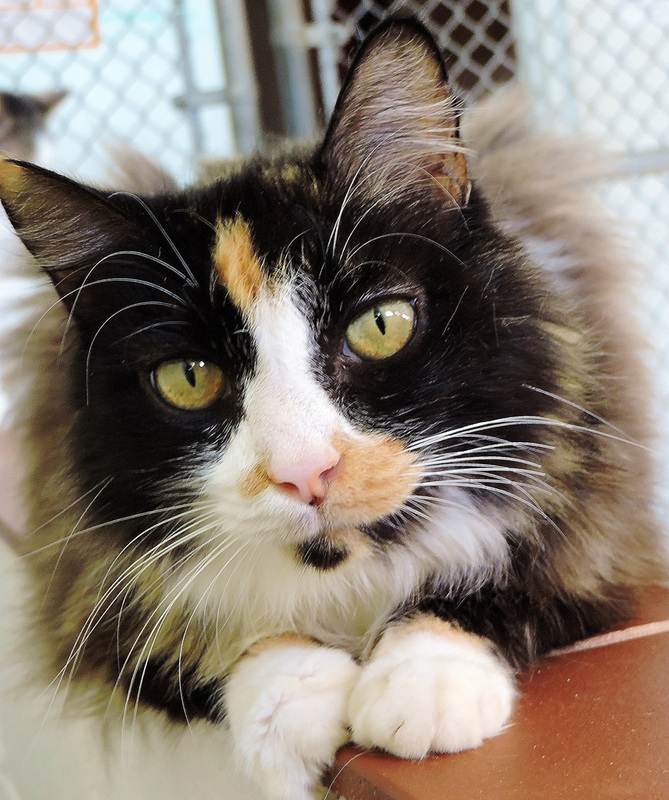 A “big boned” gal with a large personality to match, this sweet five-year-old kitty is everyone’s “mama.” She firmly lets the other cats know what to do, how to do, and when to do. When her motherly directing is complete, she enjoys sitting on the highest perch she can find and keeping a watchful eye on the goings-on below. And just like a mama, she loves kids and is open to love and hugs whenever they need it. Big Mama will also keep your house tidy as her long hair sweeps the floor or rubs against the wall to give it a quick dusting. Allow your heart to be filled by opening your home to this kitty and get ready to call it Big Mama’s House.